Howdy partner! 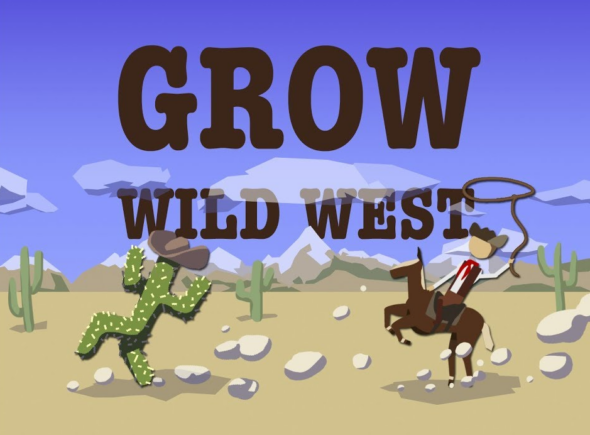 We over ‘ere have some news over a update coming to GROW: Wild West . This interactive cartoon has gone through some small changes in order to benefit the player. At first the developers added in an ‘Exit’ button, so you can close the game at any time. For those who have already gotten through a first run and want to get all the collectibles, there now is a fast forward function available so you don’t waste any unnecessary time. While hunting for goodies you may come in contact with Steam Achievements, these have just been implemented so you get even more bang for your buck! And last but not least: alternative endings, go ahead and play the game a few times to unlock them all.